Five times Le Mans winner and Porsche Ambassador, Derek Bell, will be attending the show and meeting visitors and fans alike. Thank you to our sponsors, supporters of the motoring community, visitors to the show and everyone who helped us raised this money and help 19 local charities. Nearly 1,500 display cars pre-booked, including classic cars, rally cars, pre-war cars, race cars, American cars, and our special display of Land Rovers. 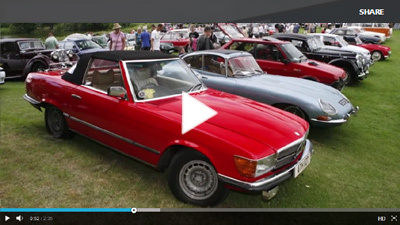 156 stands – car clubs, autojumble and craft stalls. Children’s entertainment including “Litlle Landies”. There really is something for everyone at his years show. See them, hear them, learn their story. These are the rally cars which will parade in front of Sheborne Castle at 2pm plus interviews with some celebrity rally drivers. No need to miss the match! 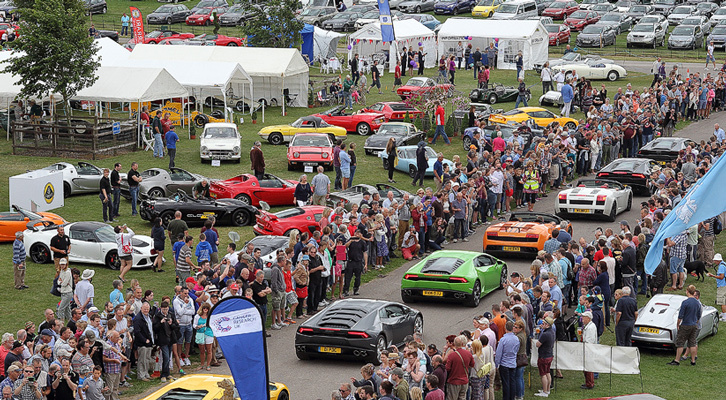 We will have screens on site so that you can have a full day of classic and supercars and then enjoy the match in the grounds of Sherborne Castle. The Trustees of the Sherborne Classic and Supercars CIO are thrilled to announce the Dorset and Somerset Air Ambulance as its Headline Charity for this year’s Show. With just a couple of weeks to go, the 15th annual Lancaster Insurance Classic & Supercars show on Sunday July 15, 2018 is revving up to be one of the best ever events. This year’s marque is Land Rover, which is celebrating its 70th anniversary as one of the UK’s most iconic brands. Following the Royal wedding, Classic & Supercars is continuing to celebrate and are thrilled to welcome to the show a 1953 Land Rover Series 1 which has royal connections of its own!